Chelsea’s Russian owner Roman Abramovich may dream of luring Josep Guardiola, the architect of Barcelona’s recent dominance of European football, to Stamford Bridge, but the Catalan is intent on completing his year-long soccer sabbatical. Two more potential Chelsea targets are already firmly entrenched in other jobs. Despite the stated intention of Real Madrid’s Jose Mourinho, the most successful manager in Chelsea’s history, to return to the Premier League he is unlikely to leave the Bernabeu any time soon. It is a similar story with Borussia Dortmund’s Jurgen Klopp. The German coach’s young side are blazing a trail through the Champions League and he must surely have reservations about working for the notoriously trigger-happy Abramovich. Just as the Russian did when he fired Andre Villas-Boas in March, Abramovich now finds himself shopping in the sales, trying to find the best fit to provide a short-term fix. And in the bargain basement who is better than Benitez? True, his stock has fallen considerably since he masterminded Liverpool’s incredible, implausible Champions League triumph against AC Milan in 2005. Despite having league titles and European successes on his CV, he has failed to establish himself at another club since being ousted by the Anfield board in 2010. A disastrous spell as Jose Mourinho’s successor at Inter Milan followed immediately after his Liverpool exit. It ended abruptly in December 2010, just six months after he stepped through the door at the San Siro. The intervening two years have seen Benitez linked with a host of jobs across the continent, but none came to pass - until now. Eight years have elapsed since Benitez guided Valencia to their second Spanish league title in just three seasons. Benitez’s Valencia, who also won the UEFA Cup in 2004, remain the only the team this century to have broken Real Madrid and Barcelona’s stranglehold on the Spanish league title. Though his departure from Valencia - “"I asked for a table and they bought me a lampshade" – did signal his unnerving ability to fall out with the board members he worked under at the various clubs he has coached. The following season he led an unspectacular Liverpool team to the ultimate European triumph, overcoming Mourinho’s Chelsea at the semifinal stage. While Di Matteo was roundly condemned for his strategy during Tuesday’s 3-0 defeat to Juventus - which leaves Chelsea facing the prospect of becoming the first Champions League winners to exit at the group stage of the next tournament - Benitez has repeatedly proved himself capable of sending out teams to achieve results on the big stage. His half-time decision to introduce defensive midfielder Dietmar Hamann in that Istanbul final against AC Milan proved a masterstroke. The German nullified the previously rampageous Kaka and Liverpool overturned a three-goal deficit before winning a nerve-wrenching penalty shootout. Benitez will also be working with a Chelsea squad which is the envy of most clubs in the world. Brazilian playmaker Oscar, the effervescent Eden Hazard and the sublime Juan Mata are among the game’s top talents, while Benitez will hope he can return Fernando Torres to the scoring form he enjoyed under his tutelage at Liverpool. And Torres’ exploits between now and the end of the season could decide both his and his new manager’s fate. If Benitez, whose faith in Torres helped him become one the world’s most feared strikers, can’t bring the best out of the world and European champion, would Abramovich finally cut his losses where the Spanish striker is concerned? It will take more than former glories and tactical nous to convince a Chelsea fanbase angered by the treatment of Di Matteo and disappointed with another short-term appointment. The vast majority of Stamford Bridge’s faithful remember Benitez as the man who led Liverpool during three ill-tempered Champions League semifinals between the teams in 2005, 2007 and 2008. And it is not just Chelsea’s fans who will need reminding of Benitez’s worth. During his spell with Liverpool he endured a fraught relationship with the English media. Benitez’s defensive attitude was epitomized by one press conference in January 2009 when he unleashed a list of “facts” which he claimed proved the fixture list favored Alex Ferguson’s Manchester United. The “Spanish waiter” tag which many surrounding the English game have cruelly attached to Benitez will take some removing. But while this may represent his last chance in one of Europe’s top jobs, risking criticism and vitriol, the situation for Benitez is win-win. A future with Chelsea seems unlikely, with Guardiola casting a long shadow from his Stateside holiday home. This would seem to rule out the possibility of Benitez strengthening his new squad in January. But at worst, it is a short-term experiment guaranteed to swell his bank balance. 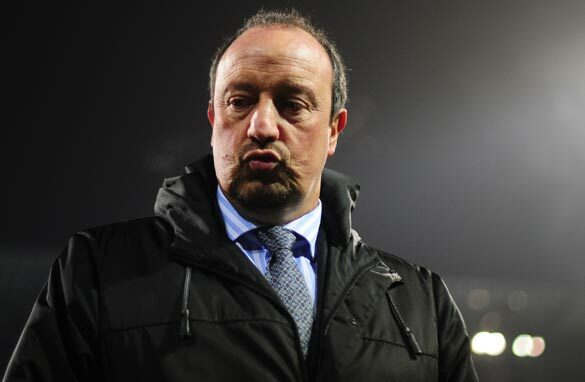 At best, it offers Benitez’s the chance to show prospective employers why he once ruled European football. And what better way to start than with a win over Premier League leaders Manchester City on Sunday? I think Benitez got everything he could out of the team when he coached Liverpool. Will be interesting to see how he does with Chelsea and how he is welcomed when they play Liverpool at Anfield Road :). The main reason he's gone for Benitez is to see if he's made a mistake with Torres. Benitez's main aim will be to get Torres scoring goals, if he does, Abramovich's ego will be satisfied, he will have been proven right and the managers incapable of utilizing the boss's pet in the right way. Lets hope he revives torres...if not, both should go by January. Chelsea are not far away. Benitez is sure to sort out their porous defence, which will not be a mammoth task once JT returns. If he can make Torres remotely resemble a £50m striker then that would be an added bonus. If Chelsea exit CL then they can definitely finish ahead of Man Utd in league which might be enough for league title, depending on whether City press panic button with Mancini..
All the best for Benitez, he got better players, hope he ensures good termination benefits as well. Torres was bad enough to stomach......throw Rafa in the mix now and I will be switching allegiance to ManU for the rest of the season....even 4 life! Will Rafa try to bring in Stevie G?? He's never been the same player since they broke up! Benitez can't lose from this appointment. He's inherited a good team suffering a blip not a major crisis. If they win something he looks good, and even if they only make next year's Champions League he doesn't look bad as this is a team in transition and even the best managers need time to put their stamp on a squad. If he's not upgraded from "interim manager" at the season's end at least he's back in the spotlight and in the frame for the next top job that becomes available so he would have to be a complete disaster to screw this up, though he will have bite his tongue when dealing with the owner's interference. For his sake I hope his success does not hinge on getting Torres to perform as the owner wants because I can't see what more can possibly be done to accommodate the guy. He's been played as a lone striker; he's played as part of a two man attack; he's played off a big man, he's played off a smaller quick man; he's played in the hole; he's had a free role allowing him to go looking for the ball; he's played out wide (where admittedly he provided a few assists); he's played with midfield providers (Lampard and Mata); he's played with outright attacking midfielders like Oscar and Hazard who take the scoring burden off him; he's been used as a super sub, yet still he's provided nothing even approaching consistency. Three previous Chelsea managers have been unable to break the curse, so, for Roman's sake, let's hope Rafa spent his time away from football at Hogwarts! This is a case of a punctured wheel on a car and you change the engine oil. Blue is the color. Senhor Rafa is full of ideas. If players play to their potential they should be able to bring joy to Chelsea fans worldwide. Wishing the new manager, his footballers and fans much joy and excitement in the coming weeks and months. I think Benitez has more experience and he will surely take the blues through. Dude are u high? Chelsea finish above Man U? where? when? how? One word son RVP. thats y that will not happen, chelsea will be lucky to mke the top 4 this year, teams r on form, everton, tottenham, west brom, and dont forget arsenal the # 3 &4 positions will be har fought thid year.1 & 2 are going to Manchester again. Offload both rafa and torres in Jan... Torres swap with Falcao... End this nonsense!!! top striker? DiDi Forever!!! I don't know what's all the buzz around this guy! His arrogance costed the title in the Club World Cup against Corinthias! Corinthias finished #5 in the Brazilian Championship this year! Weak couch! Torres is another one! I do not understand why he has so much fame!! He lacks that killer instinct! He complains about everything! Chelsea has some serious changes to do if they want to do well in whatever tourney they have left to play in!